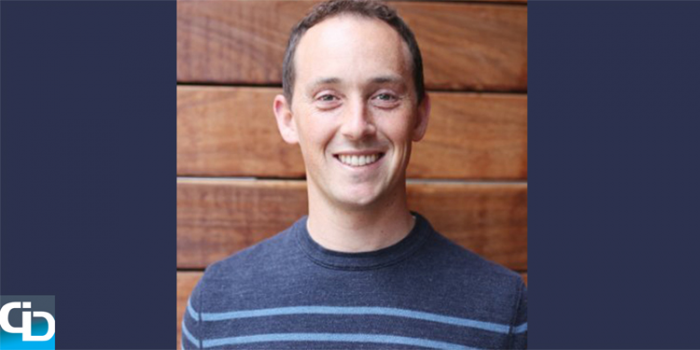 Riley Newman is the Head of Data Science at Airbnb.com, was the company’s first Data Scientist and one of the first 10 employees. Since Airbnb was founded in 2008, they have grown roughly 43,000%, currently have over 1.5 million listings in 34,000 cities across 190 countries and Riley and his team manage all of that data. icrunchdata speaks to analytics thought leaders about what they are currently focused on and we explore their interests outside of the data. We caught up with Riley to discuss the early days of Airbnb, what are his daily priorities and his picks as the top 3 funkiest places listed on Airbnb. You were the first Data Scientist and one of the first 10 employees at Airbnb when it was founded back in 2008. Describe the company’s offices when you started? I worked in ‘the cave’, a room in Brian and Joe’s apartment, where I sat on a big pilates ball because we’d run out of chairs. It was cramped, but fun. Lots of joking around. I think it set a solid foundation for Airbnb’s quirky culture. I also remember a great energy in the apartment. Everyone was in sync with each other, our mission and goals were clear, and everyone worked hard. We would decompress by eating lunch together on the roof and over Friday happy hours in the living room or at a bar down the street. Things got even more cramped several months after I joined as we onboarded a couple engineers. We decided it was time to find a new office when interviews and meetings were being held in the bathroom. When you walk through the offices today, what aspects of it set the vibe and tone for the organization? Airbnb has a very organic and creative culture. Many people say they can feel it as soon as they step out of the elevator. Brian encourages people to make the space their own, which everyone interprets in their own way. My team recently took over a meeting room and turned into the ‘data den’, sort of a clubhouse for members of the data team. It’s a fun space for people to get to know each other, and often the best ideas come out of serendipitous interactions there. Another striking element to our space is that it’s very open and cross-functional. People don’t sit with their functional teams; instead, they sit with project teams. We think this reduces siloes and leads to more impactful work. Over the last 5 years, was there one defining moment that you can think of that was the tipping point for the organization’s success? There have been many. One that stands out is the rise of clones back in 2011. Up until that point we were growing well, but on our own terms. All of a sudden there were businesses remarkably similar to ours sprouting up around the world. The Economist actually wrote an article about this shortly after. The effect this had was significant. The prospect of potentially losing whole regions of the world was a wakeup call that shocked us into aggressive growth. We haven’t looked back since. Airbnb announced in April that it was expanding into Cuba. What are a few unique challenges that you and your team will have to overcome in the Cuba market? From a data perspective, I don’t think it will be that different from other markets. I like to promote this idea of data being the voice of the customer and that the data team acts as interpreters of that voice. It’s clear that Cubans want to host our community, and that our community wants to visit Cuba. If anything, the challenges will be fewer in this context than a market we’re trying to jumpstart. What are your top 3 favorite places to visit that are listed on Airbnb? I stayed here last week and it was incredible; this was the listing that inspired me to join Airbnb back in 2010. Five years later, I finally got a chance to visit it and was blown away. The pictures don’t do it justice. Two years ago, my wife and I spent part of our honeymoon here, and loved it. It’s a small b&b and I think their dining room was Michelin-starred. And this is where I had my first guest experience on Airbnb. It was a bit of a gamble at the time – first time using Airbnb for both me and the host family, and the first time I’d traveled with my girlfriend (now wife). It couldn’t have gone better; in fact, it confirmed the possibility of experiences we aspired to create. The hosts helped us with everything from renting a car to making dinner reservations, and had us tell restaurant owners they had sent us. In Italy that sort of thing goes a long way. Airbnb has used technology and data to disrupt and change the hospitality industry. What is another industry that you think is way past due to be disrupted by tech? Trash and recycling. It amazes me how much litter I see everywhere I travel. I’m hopeful that the environmental pressures brought about by climate change accelerate entrepreneurial activity in that space, and litter seems like a market failure waiting to be addressed. After earning Bachelor’s degrees in International Studies and Economics from the University of Washington, you went to the University of Cambridge in England and earned your MPhil in Spatial Economics. What do you remember most about living in Cambridge? Travel. I couldn’t believe how easy it was to access places I’d always wanted to visit. My friend and I ran out of coffee one morning, so we booked a flight to Italy. I also remember warm pints of Ale. I never got into that. You’ve spent your entire career in economics and data, and you were an active reservist with the U.S. Coast Guard for 10 years. How did you use your analytics expertise while with the Coast Guard? Sometimes I would nerd-out on the efficiency of our patrol routes, but I used most of my time in the Coast Guard to develop other skills. I really valued how different this experience was to my white-collared alter ego. The Coast Guard provides significant leadership opportunities to its people, which I really benefited from, and has helped me as I’ve grown Airbnb’s data team. It also emphasizes grit and discipline, maintaining composure through drawn-out, stressful situations. I think that’s helped me through Airbnb’s hypergrowth. You were the Men’s Lacrosse Captain and President at the University of Washington and played while you were earning your MPhil in Spatial Economics at the University of Cambridge. How often do you get to play now and what does the future of Lacrosse look like in the US? I’m sad to say that I haven’t played since starting at Airbnb! I miss lacrosse; it’s such a fun sport. But I couldn’t commit to the schedule required by the men’s leagues here in the Bay Area. I grew up playing on the west coast, so it’s nice to see the growth of the sport out here. This year Denver won the NCAA men’s division 1 championships – the first time a team west of the Mississippi won that title. If tomorrow you were forced to have a career completely unrelated to technology and data, what would you choose to do? Whenever my wife and I travel we talk about opening a bed and breakfast somewhere. The hospitality we’ve seen encountered in our Airbnb experiences has been really inspiring. But I’d also happily go back to the Coast Guard. I loved the physicality of the work and the humanitarian mission, but I left for the unique opportunity of building a company like Airbnb. Riley, that is a great way to end our discussion. Thank you for taking the time to speak with us today and now it’s time to go traveling.